The Rivers of Oklahoma is your on-line one-stop resource for information about canoeing, kayaking, rafting and tubing the rivers, creeks and streams of Oklahoma. Included on this guide are listings for rental liveries, shuttle services, campgrounds, and boat and gear resellers. For Oklahoma rivers just click the button below for the major river system and its tributaries in which you are interested. Click the flags above to select a state where you want to paddle, then on that state's page select the river you want to paddle to see the informaton on businesses serving that area. If a button is inoperable, then it means the river to which it refers is not yet on-line. Rivers will be added as quickly as possible. Your patience is appreciated. 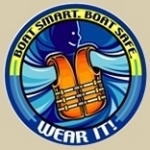 NOTE: It should be noted that Oklahoma State Troopers have recently began enforcing requirements that each boat, including canoes, kayaks and rafts, be equipped with an audible signal device such as a whistle or airhorn. Failure to comply WILL result in citations being issued and possible fines being levied. This is a recent development that seems unenforceable considering the vast amount of rental traffic to be found on some rivers, but precautions are urged.